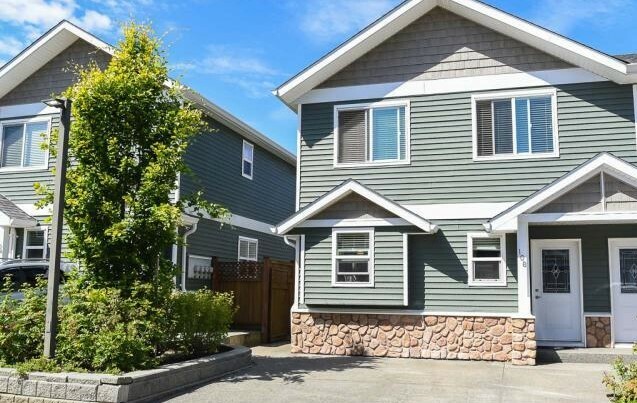 Newer end unit townhouse with modern finishings! Meticulously kept, this mint condition home features engineered hardwood flooring, ceramic tile, soft designer paint colours, and a classy kitchen with stainless steel appliances. The concrete party wall between units ensures a quiet living space – plus this end unit enjoys the bonus of some extra natural light. Outside you’ll find a fully fenced yard ready for your gardens or summer patio set. Space to park two cars is located conveniently right outside the front door. There’s also lots of storage in the large crawl space! Only 6 years young, this complex is in excellent condition and built for low maintenance which keeps the strata fees affordable. Rentals and pets are allowed, and no age restrictions. All of this within walking distance to shopping, restaurants, rec centres, and North Island College.